Skin cancers are the most common malignancy affecting Americans with basal cell carcinoma being the most common, followed by squamous cell carcinoma and then malignant melanoma. Basal and squamous cell carcinomas are usually skin colored, typically just grow locally and rarely spread elsewhere except in the most advanced, neglected situations. These two comprise at least 80% of all skin cancers. On the other hand, malignant melanomas are virtually always pigmented, are far more virulent and can metastasize, not infrequently leading to death. 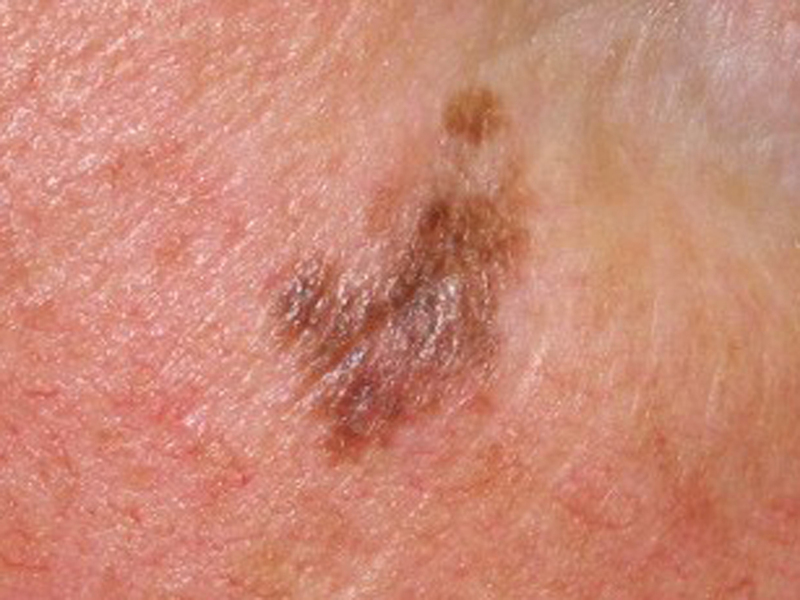 These are the type of skin cancers that need to be diagnosed early on for a better prognosis. Their treatment involves aggressive surgical excision, usually by removing sizable “margins” of normal appearing tissue around them which can be anywhere from around 5 mm to 2 cm. This can lead to lengthy scars, distortion of surrounding structures and challenging reconstructions. Depending on their thickness, other ancillary treatments may be warranted as well. The good news about malignant melanomas is that the associated mortality rate associated has decreased by approximately 7% over the years. Then there is the bad news: an epidemic in the rate of occurrence of malignant melanomas over the last 40 years. A study on the incidence of malignant melanomas in 40 – 60 year olds was conducted at the Mayo Clinic in Rochester using epidemiological data between 1970 and 2009 for residents of Olmsted County, Minnesota. It specifically evaluated white, non-Hispanic people who account for nearly all of the cases. It was discovered that the incidence of malignant melanoma has increased eight fold over the last 40 years, rising from 7.9 cases per 100,000 people to 60 cases per 100,000 people. That is an almost 800% increase. The rate of increase in the incidence of malignant melanoma was dramatically higher in women as opposed to men. Whereas men saw a 4.5 fold increase in the numbers affected, women experienced a 24 fold increase. This study also showed that women in their forties had the highest rate of increase of ANY age group. What make this information even more alarming is that these numbers involved people living up in the far north USA – in Minnesota, where there is so little sun. Now consider the implications for relatively fair complected people living here in Arizona where there is sunshine perhaps 360 days per year. Protection of our skin by limiting sun exposure, regularly applying high factor broad spectrum sunscreens, wearing sun blocking clothing and the early diagnosis and treatment are critically important in dealing with malignant melanoma. For more information on malignant melanomas or other skin cancers or to schedule a consultation with me, please call my office at 480-451-3000.